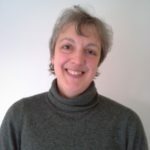 Hi, My name is Fiona Worby, and I am the coordinator of the Forum Steering Group. 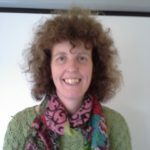 I have a son with Asperger’s and ADHD who is doing well with support in mainstream school, and became involved in the forum because I wanted to be part of what was going on in West Berkshire for our SEN families. I love being part of the forum, and have seen positive change happen when parent/carer voices become involved in decisions about our children, and the services we use. 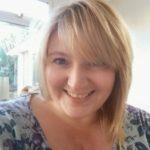 My name is Clare Davies, and I am a mother of 3 boys. The eldest is 21 this year and has a lot of autistic traits, and I have a 7 year old who is in an ASD unit at a main stream school and lastly my youngest who is 5 and just lively in general! I am aware that there is a lot of children out there on the SEN register and a lot of parents/carers who are unaware of where to turn to for help and support, and I would like to help where I can. My name is Estelle, I have 2 children. A girl of 7 yrs and a boy of 5 yrs that has recently been diagnosed with Autism. At present he attends mainstream school, and he is a very lively, loving young lad!!. 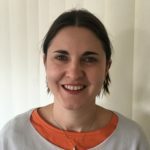 I am new to having a child with SEN, however I have worked with either adults with learning disability or Mental Health issues for approximately 25 years. 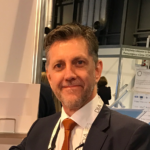 I wanted to become involved so that I could learn more about services out there for children with SEN and how they may affect me personally, also to become involved with decision making hopefully for the better for both children and adults. My name is Lucy Tyler. I have a 16-year-old son who has Down’s Syndrome and Autism. He attended mainstream primary school and two years at a mainstream secondary school, before transferring to Castle School. He is now at their Post-16 unit. He has a range of health, behavioural and communication difficulties. I think it is essential that parents are involved in decision-making about the services which are so crucial to the well-being and development of their children. Their perspective and first-hand experiences must be taken into account if services are truly to meet people’s needs. 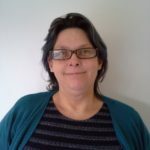 I’m Samantha Clarke, a mother of three children, one with special needs, I wanted to become a member of the Forum, firstly because, I found a great support in a resource that had just been set up, and not really that widely heard about. And secondly, I felt at the time, that individual struggles could just be put to one side, and not necessarily dealt with, but with the aid of the forum, I have found myself wanting to be with other people in similar positions that would like to make a difference and support other parents/carers to make changes, which will ultimately affect the children either that we care for, or others around us. 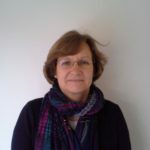 I’m Debbie Walter, and it is important for me to volunteer with West Berkshire’s Parent Carer Forum. I hope to be a voice to help others who may not have the ability or time to speak for themselves or their family. My family life consists of a husband, son, grown up independent daughter, all with invisible disabilities, as I try to manage things as best as I can with my own mental health condition. Life with non-physical disabilities can be very stressful, but I have found by joining as a volunteer I have become a member of a team of other parents who equally struggle but ‘together’. I have learnt that despite the seemingly injustice of the education system, that by working with the authorities, and services, rather than against, change does happen. I want to make changes, one step at a time, and have an influence over important decisions. I’m Peter Delahaye, a father of three children – the youngest is on the Autistic spectrum. I joined the steering group to learn about the many aspects of support for families with children with special needs as well as help to promote and run the group and to see where my experience and assistance can help others. 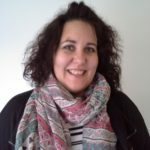 Hi, my name is Leila and I’m mum to two boys, the youngest of whom (currently 8 yrs) has a diagnosis of PDA – Pathological Demand Avoidance, an extremely challenging Autism Spectrum Condition, which you can read more about elsewhere by googling it if interested. I set up a local PDA support group at the start of 2017 (www.westberkspdasupportgroup.co.uk ) and from this I soon stumbled upon WBPCF and wanted to join, just to support the great work they do on behalf of local SEN families and services. 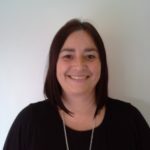 From initially just being a parent member, I then wanted to join the WBPCF steering team and I am really excited to be a part of what Fiona and the team do, because it offers an amazing opportunity to contribute towards a better future for SEND children and families in our area. I think its really great that the people working for the local authority and in local SEND services WANT to know what we as parents and service users all think, so this is a brilliant way of working constructively with them and having our voices heard and views taken on board. Since joining, I have been struck by the friendliness, the positive energy and the amazing ‘can do’ attitude of the parents in WBPCF. I think perhaps there is something about living with all the challenges that an ‘additional need’ brings, and somehow still surviving and coming out of the other side, that makes SEND parents look at life a little differently, and this to me is what makes the people and aims of WBPCF so special. Do consider joining us, its great fun – and of course very rewarding too!